Capitalising on growth opportunity. 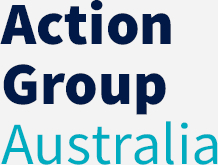 Action Group Australia is a property investor operating across a diverse spectrum of the Australian market. Our portfolio includes industrial, commercial and hotel property. We follow our international parent company's strategy of acquisition, value-adding and long term-retention to achieve strong performance outcomes.